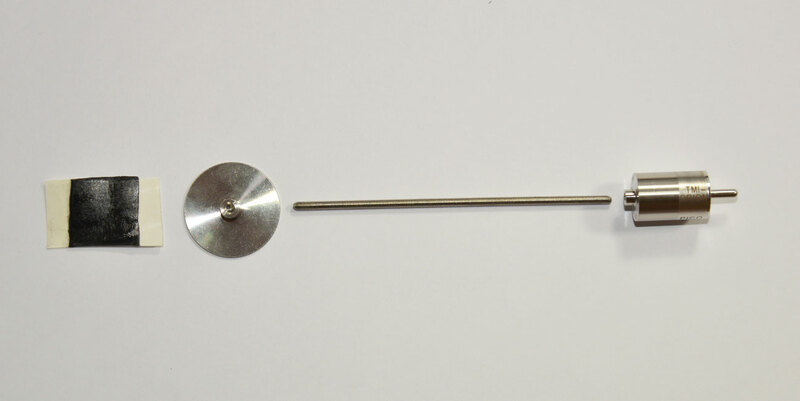 For NanoVACQ Flat Needle, PicoVACQ 1T and NanoVACQ 1Td with threaded rod. 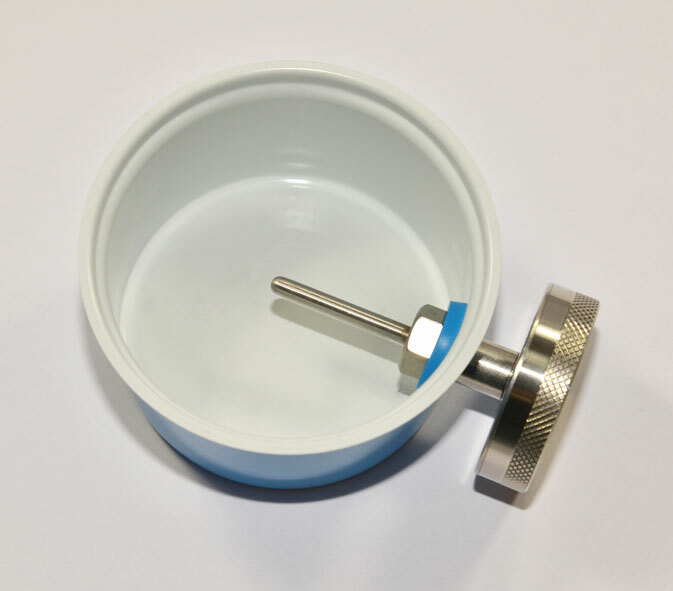 The Temperature sheath kit (PROBE_PE_T) includes a thermowell, a nut and a watertightness o-ring, it can be completed by one or more metal (LOT_E) or PEEK (ENT_PEEK) spacers. Pierce the can at its center with a punch. 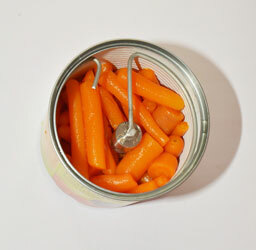 Put the sheath through the hole by the outside of the can. The end of the thermowell must be at the cold point. 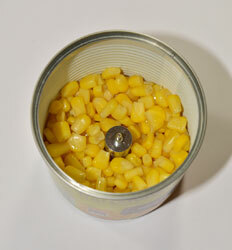 Place the o-ring on the sheath inside the can and screw the nut. 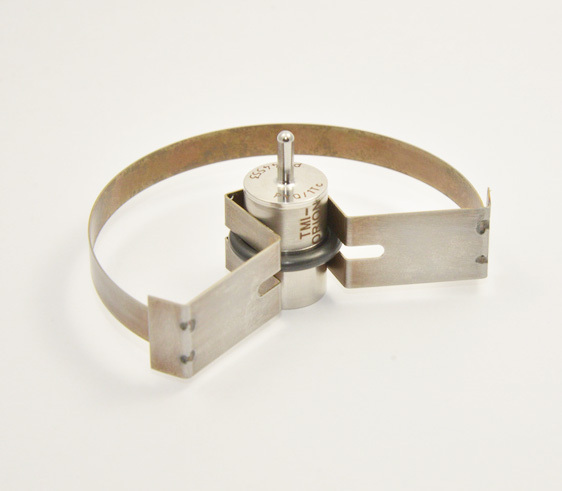 Fit the logger probe in the sheath, with or without spacers. Assembly with the Temperature sheath kit (PROBE_PE_T). Le Positioning kit - straight (KIT_TIN_PVQ) includes a double plate with thread and a threaded rod to maintain the logger high up. 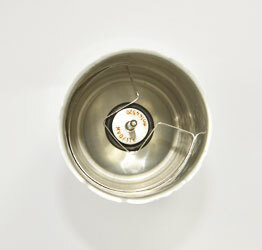 Stick the plate to the bottom of the can with a piece of high temperature adhesive tape. Screw the threaded rod on the plate. Screw the logger on the threaded rod. The logger sensor must be at the cold point. 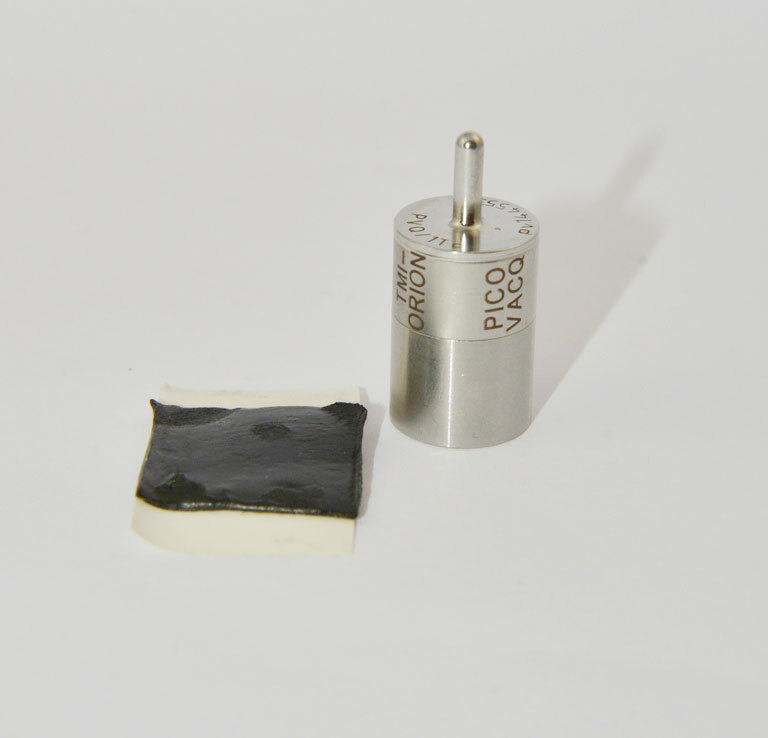 Assembly with the Positioning kit - straight (KIT_TIN_PVQ) and high temperature adhesive tape (ADHESIF_HT). 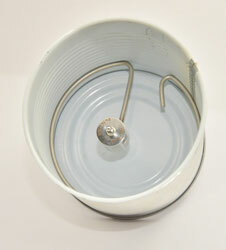 Glue the logger directly to the wall of the can with a piece of high temperature adhesive tape. The logger sensor must be at the cold point. 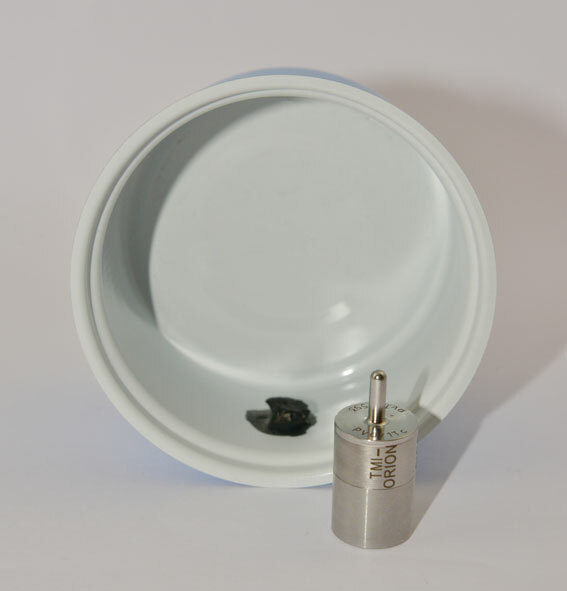 The Positioning kit for cylindric cans with grooves (KIT_GROOVE_PVQ) maintains the logger at a given point inside a can. 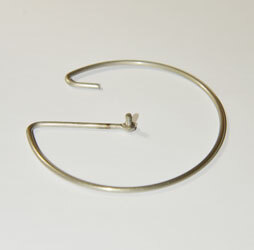 It includes a spring ring with a central arm ended by a thread. Screw the PicoVACQ on the thread of the spring ring. 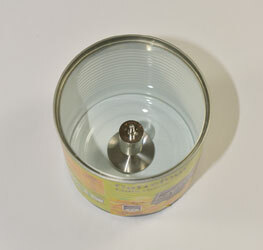 Insert the spring ring inside the can by pressing it with the hand than releasing it at required height. 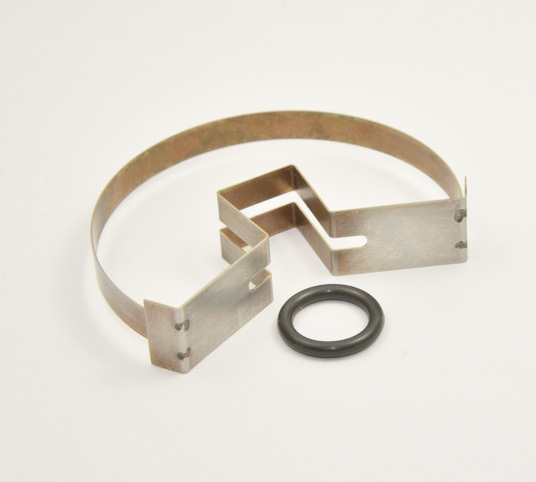 Make sure you place the spring ring between two grooves for a better positioning. 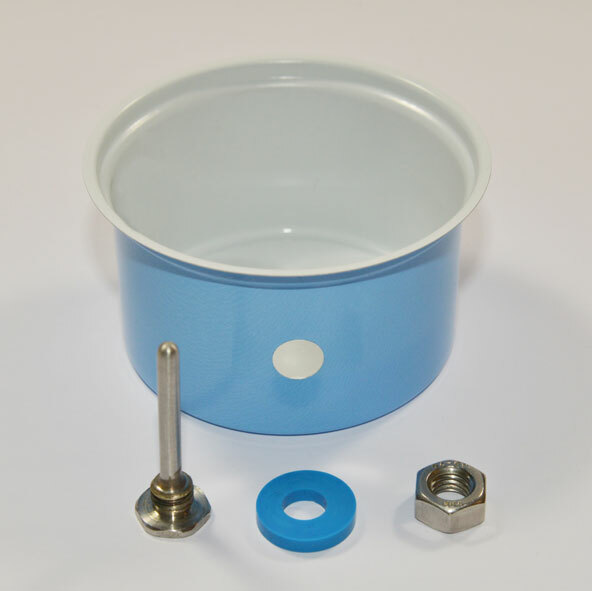 Assembly with Positioning kit for cylindric cans with grooves (KIT_GROOVE_PVQ). 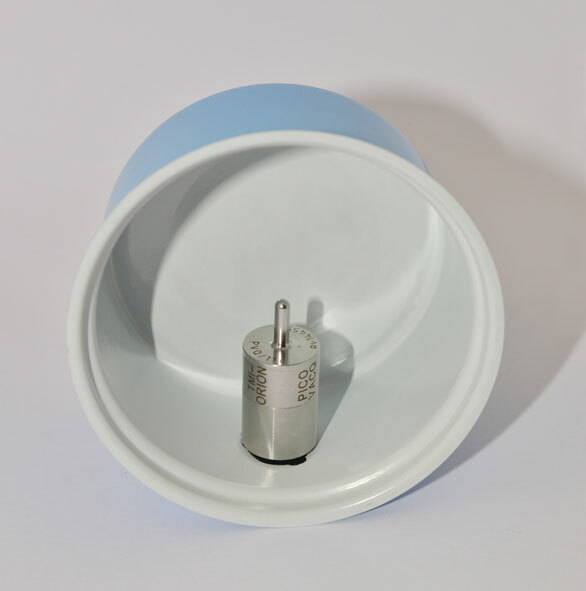 The Positioning kit for cylindric cans without grooves (KIT_GROOVELESS_PVQ) maintains the logger at a given point inside a can. It includes a spring clip with a central arm ended by a clip. Place an o-ring around the logger. Insert the o-ring in the slot of the spring clip central arm. 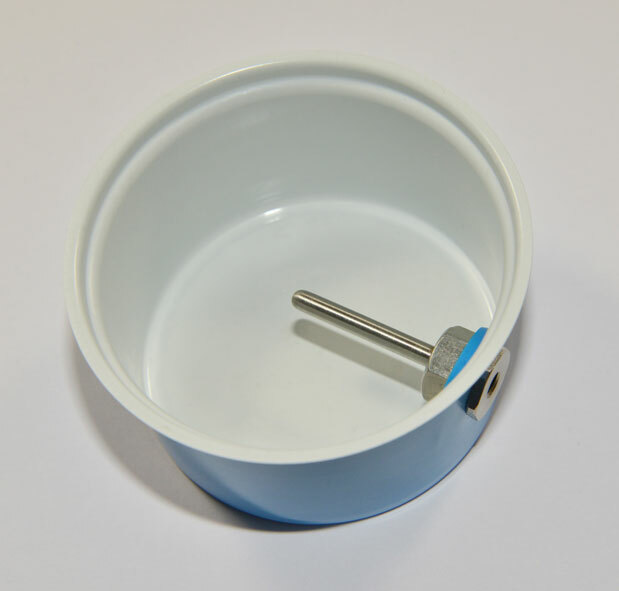 Assembly with Positioning kit for cylindric cans without grooves (KIT_GROOVELESS_PVQ).